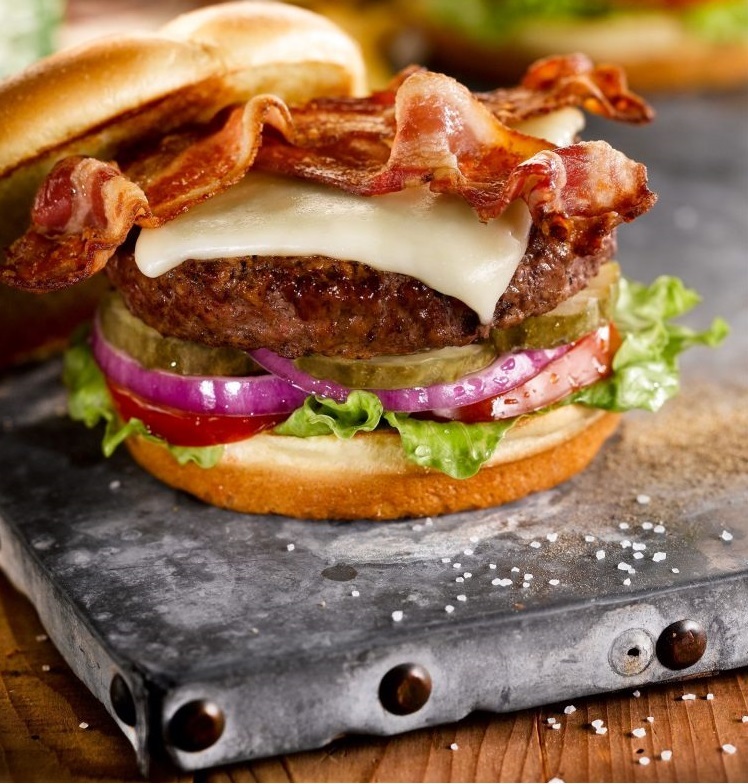 O’Charley’s Restaurant and Bar has their Bacon Cheddar Burger and fries for just $6 every weekday now through Friday, May 3, 2019. The $6 deal is good Mondays through Fridays April 22 – May 5, 2019 at participating locations. O’Charley’s announced the spring special in a News Release. For more details visit the O’Charley’s Menu. Serving up American style meals since 1971, O’Charley’s operates 205 restaurants in 17 states in the Southeast and Midwest. Get one free kid’s meal with purchase of adult entrée all day every day. Good for children 10 and under. The chain announced the special on their What’s New page. The O’Charley’s kids menu offers a variety of choices from the more traditional dinner items like the Kid’s Burger or Cheese Pizza to more unique options like Mini Corn Dogs and Bite-Size Shrimp. O’Charley’s has a $13.99 Prime Rib dinner deal good every weekend. Enjoy Slow-Roasted Prime Rib for just $13.99 per person with a side item of your choice, plus, an appetizer to share (Fried Green Tomatoes or Spinach & Artichoke Dip). Available every Friday, Saturday and Sunday atparticipating locations only. Dine-in only. Who are you taking to O'Charley's for the Prime Rib Lovers' Weekend special? Tag them below! O’Charley’s announced the promo on the O’Charley’s Home page. O’Charley’s is offering a free slice of pie with any entree purchase every Wednesday. Choose from Southern Pecan, Ooey Gooey Caramel, Country Apple, French Silk and Double-Crust Peach Pie. More details on the O’Charley’s website. O’Charley’s is a casual dining restaurant chain in the United States, with more than 200+ company-owned locations. O’Charley’s is located in 17 Southern and Midwestern states, including four franchised O’Charley’s restaurants in Michigan, four franchised O’Charley’s in Ohio, three joint venture O’Charley’s restaurants in Louisiana, and one joint venture O’Charley’s restaurant in Wisconsin.